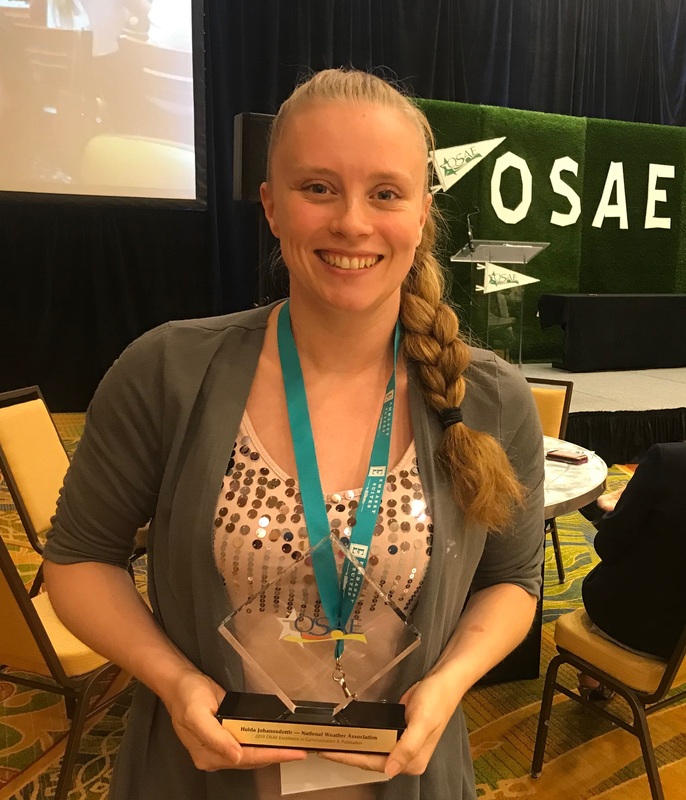 Hulda Johannsdottir, our Communications Coordinator, received the OSAE Excellence Award for Communication and Publication last week from the Oklahoma Society of Association Executives (OSAE) during the awards luncheon at their annual meeting. Hulda became the NWA Communications Coordinator in 2014. She understands the members and their passion for the Association, and her passion for the NWA reflects in her work. She has improved our financial procedures, office processes, and communications methods—especially our Newsletter. Because of her leadership and innovation, readership of our Newsletter has increased. It is one of our most complimented services, and she is always working to improve it. She implemented an email delivery platform that is now easier to read on mobile devices, and it has reduced our production costs. Hulda works with the Social Media Committee to ensure our news is distributed through all outlets. She has implemented a greater use of graphics that make our social media posts, emails, and Newsletters more attractive and engaging. Hulda has a can-do attitude and is always looking for ways to improve the NWA. Hulda with her OSAE Excellence Award for Communication and Publication. America’s greatest assets include an endless array of natural treasures. The "great outdoors" provides visitors with vast recreational, photographic, and stress-management opportunities. However, the natural landscape also comes with natural hazards. 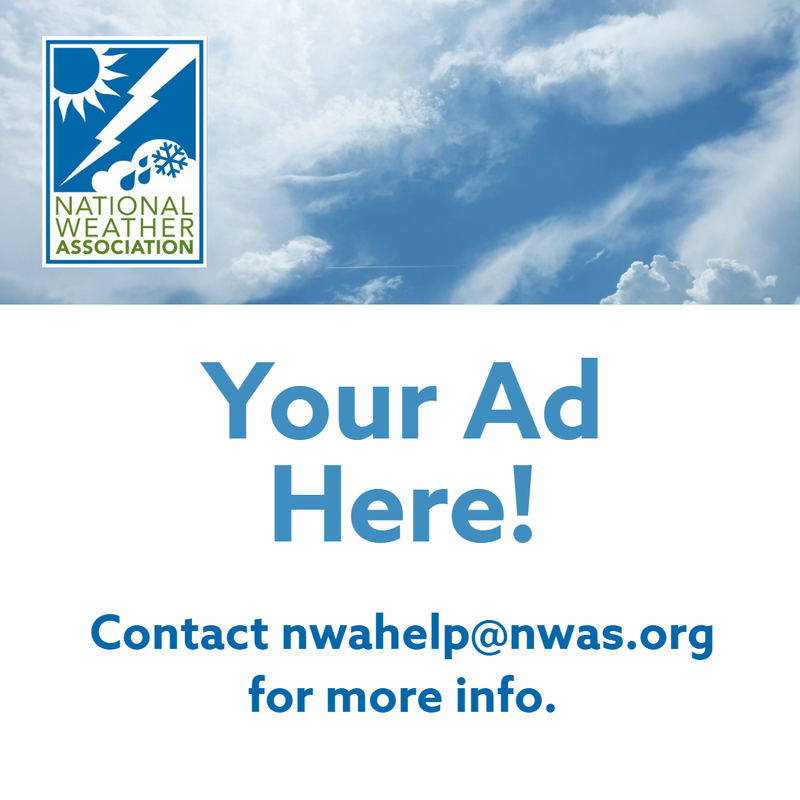 Over the past year, the NWA and NWA Foundation have teamed with the NWS and National Park Service (NPS) to help visitors prepare for weather hazards as well as build a Weather-Ready Nation (WRN). 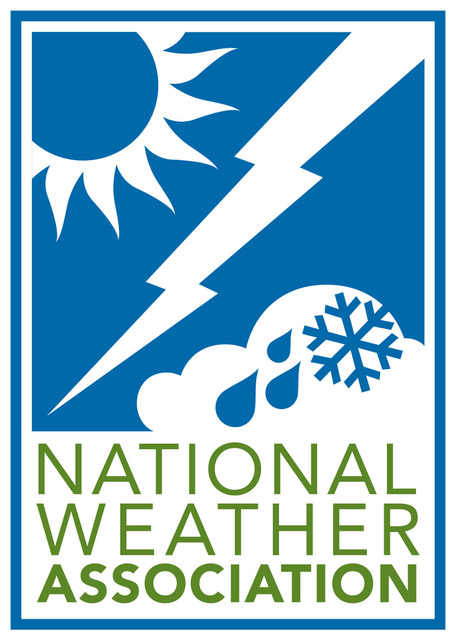 Currently, weather safety banners stand at the visitor centers in Carlsbad Caverns and Sequoia/Kings Canyon National Parks. The banners highlight the hazards of heat, flash flooding, and lightning right where the information is most needed. Funding for the banners was provided by the NWA and NWA Foundation. As of May 2018, there are over 40 national park sites recognized as WRN Ambassadors. These parks have participated in the #SafePlaceSelfie campaign, including connecting the safe place call-to-action to keeping a safe distance from wildlife and other hazards (e.g., swift water, straying off trails). 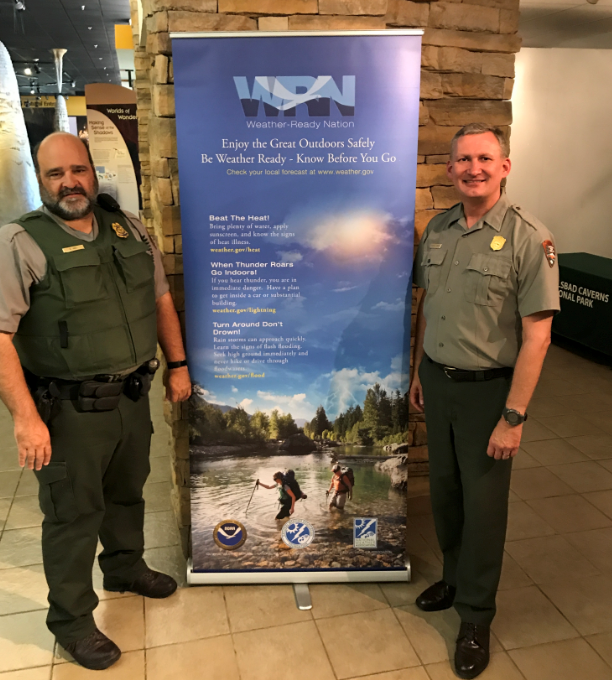 NPS rangers pose with the Weather-Ready Nation safety banner that greets upwards of 400,000 visitors annually at Carlsbad Caverns National Park. We have a FANTASTIC deal for Cardinals tickets for Tuesday night (August 28) at the Annual Meeting. These are great seats too, right at the left foul pole in the lower level (section 169, rows 11-19). Tickets can be bought at Registration anytime before noon Tuesday. The ball park is only half a mile from the hotel. Gates open at 5:45 and folks can watch batting practice. Game starts at 7:15. Ron Przybylinski, the former Science and Operations Officer (SOO) of the National Weather Service Forecast Office in St. Louis, Missouri, left us the legacy of his unending motivation to interconnect weather operations and research in strong and enduring ways. Ron was a master in the transition zone, or nexus, of operations and research. To honor Ron, the NWA Annual Meeting has hosted a Research Operations Nexus (RON) Meetup since 2015, and we’re continuing the tradition this year in St. Louis. This will be our fifth meetup, which included a special meetup at the AMS Annual Meeting last winter. What makes the fifth RON Meetup even more special is that St. Louis was Ron’s home area for the better part of his career, making this an exciting opportunity for Ron’s colleagues and protégés to reconnect. Ron would be very proud to see his vision live on. The RON provides the opportunity for an interactive meetup between research and operational meteorologists. The groups will rotate through a number of stations in speed-mentoring fashion and discuss a variety of ideas and themes that could benefit forecast and warning operations. 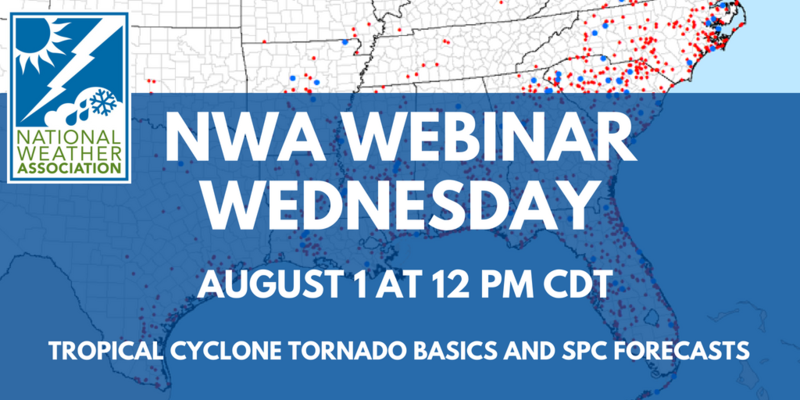 Again this year, the popular webcast WeatherBrains will broadcast live from the RON Meetup so that more people who love weather will learn about the exciting new partnerships being forged to help improve the lives of those affected by weather. As we’ve stated before, we are in the relationship-building game, so let’s play in the nexus! The RON Meetup, a free event, will take place during the Annual Meeting on Monday evening, August 27, 2018, from 6:30 to 8:30 p.m. CDT, immediately following the evening icebreaker, in the Crystal Ballroom of the Marriott St. Louis Grand hotel. The icebreaker’s cash bar and hors d’oeuvres will be available for the first part of the RON. You can sign up for the Meetup when you register for the Annual Meeting. For more information, please contact coordinator Greg Stumpf ([email protected]). 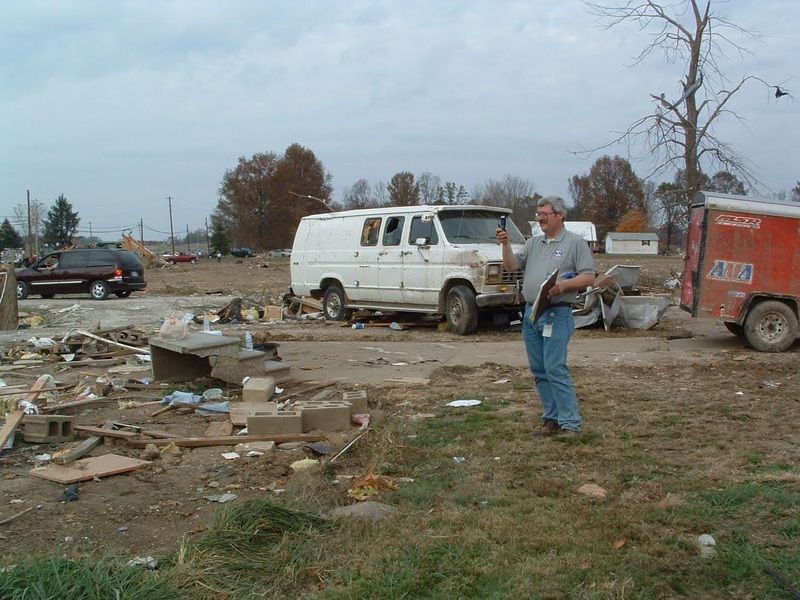 Ron Przybylinski conducting a storm damage survey, one of his many professional passions. Watch out for the Annual Meeting app which will come out soon! Diversity panel: Alan Sealls is moderator. Panelists are Bill Parker, Michelle Hawkins, and Jennifer Hogan.